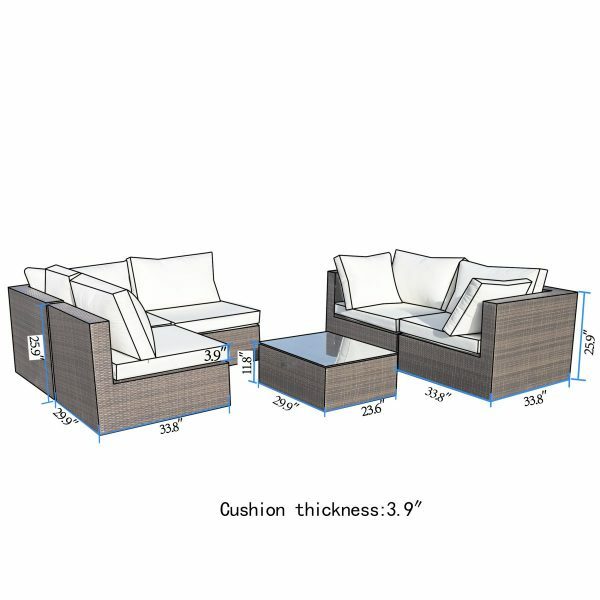 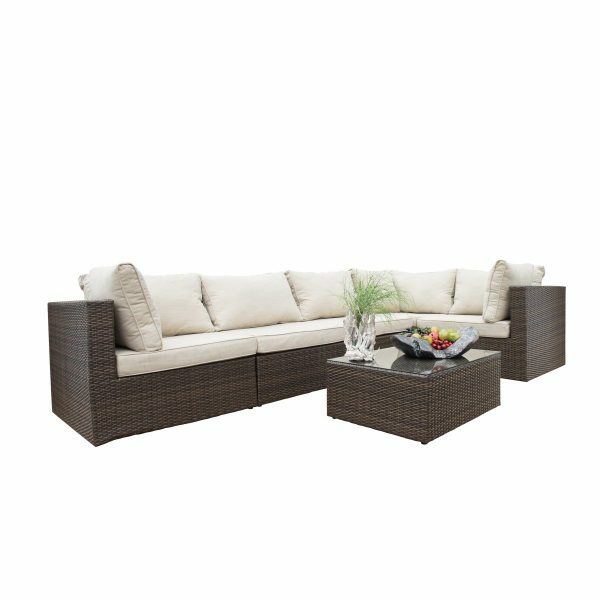 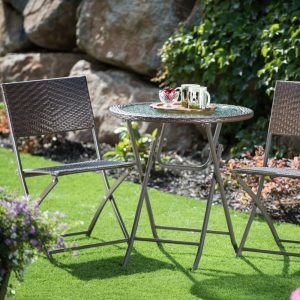 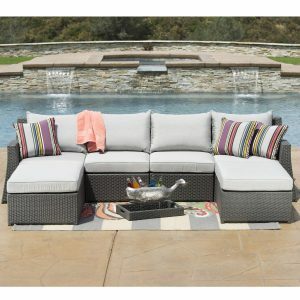 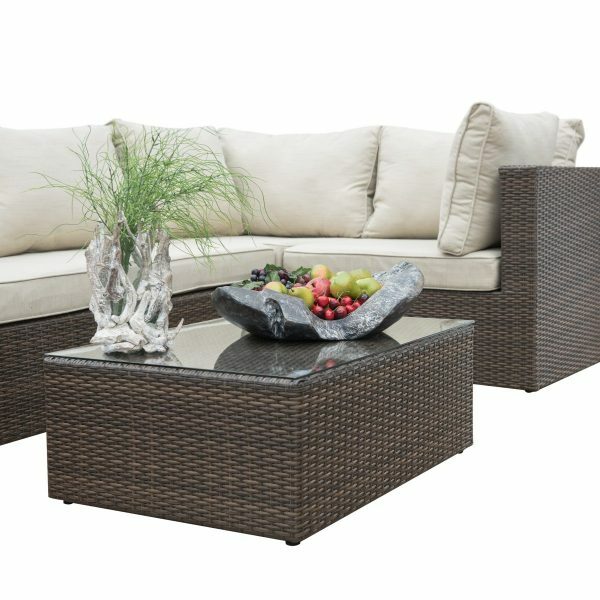 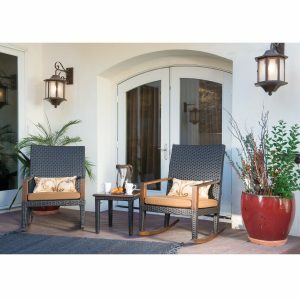 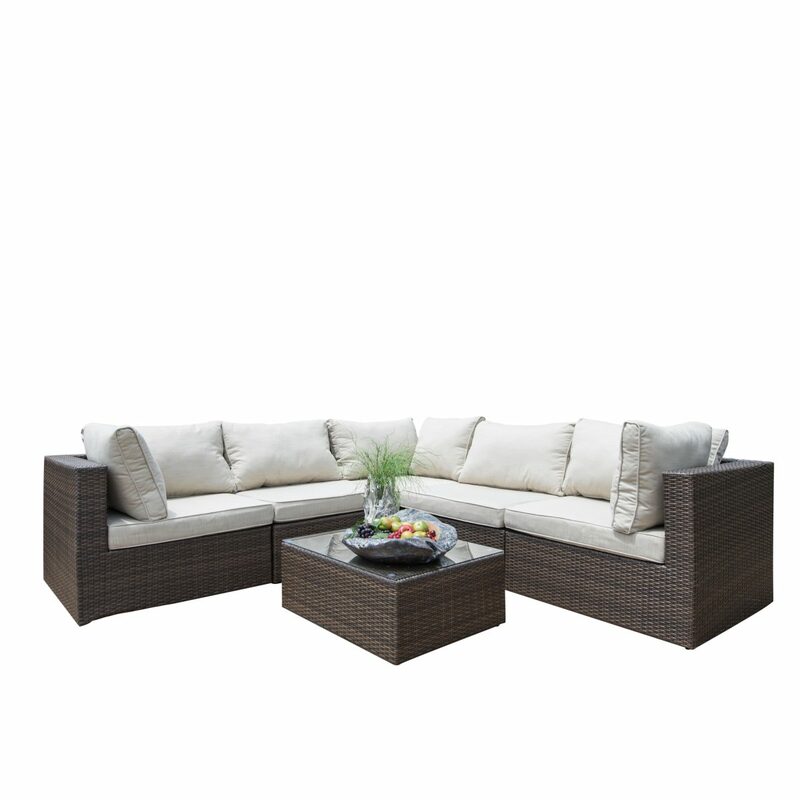 Gather in style and comfort with this Tierney 6-piece outdoor furniture set. 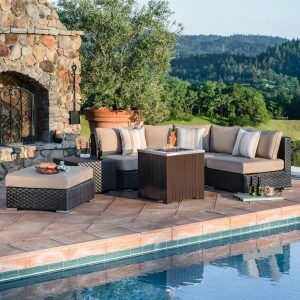 The dark brown hand woven wicker and antique beige fabric create a stylish addition to your outdoor space. 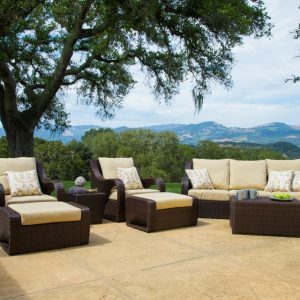 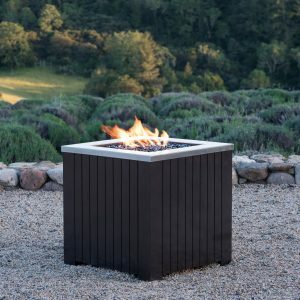 The powder coated aluminum frame and weather-resistant resin wicker provides a perfect place to meet and relax for years to come. 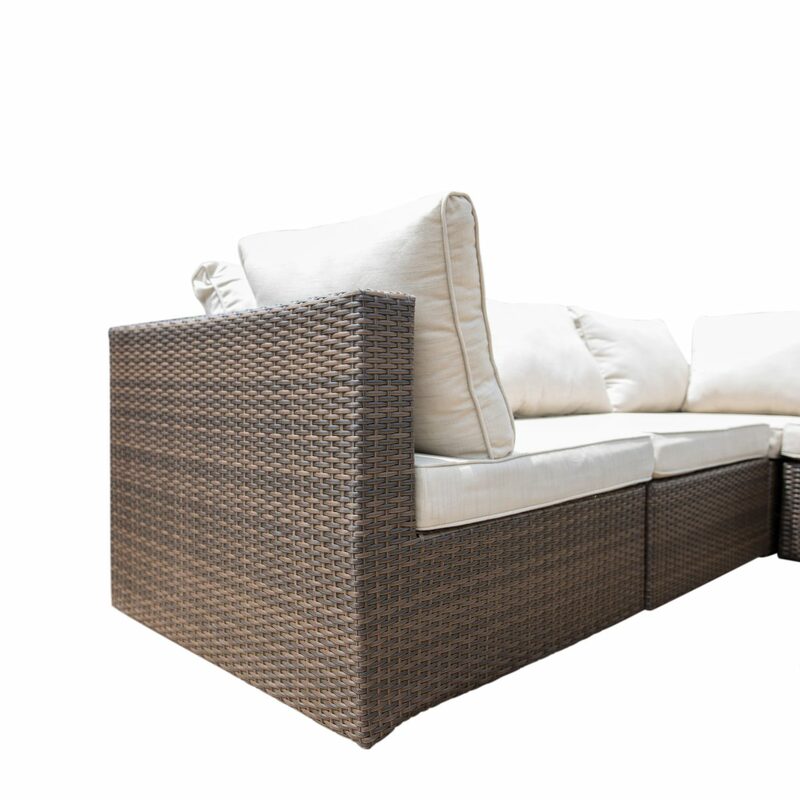 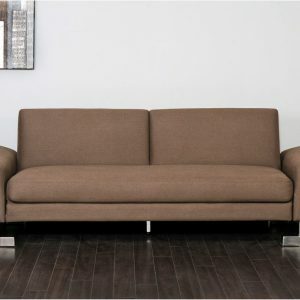 The amply padded cushions offer great comfort for you and your guest to sit back. 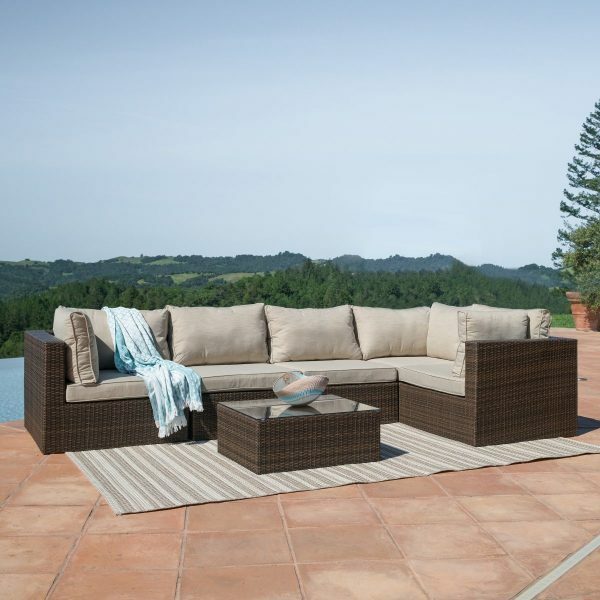 With sufficient space and high durability, it is definitely an ideal option for your patio.